Receive 280 Reward Points with this product! We suggest a minimum of 5 pumps per day =100mg daily dose. 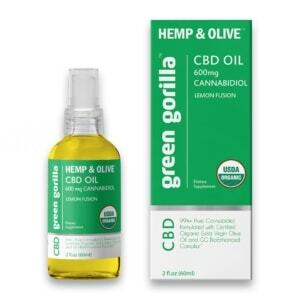 Ingredients: Organic Extra Virgin Olive Oil, Phytocannabinoid Hemp Extract, GG BioEnhanced Complex™( Organic Turmeric Root Extract, Organic Rosemary Leaf Extract, Organic Lecithin). Hi Linda, thanks for subscribing! Thanks for the promo I love your cbd oil! Hi Wendy, you are welcome – thank you for rating our product 5 stars!